Noni is a small evergreen plant native to Southern and South-East Asia and the Pacific Islands. For thousands of years, its fruit has been used medically to detoxify the body and boost the immune system. “I have a variety of patients who have benefited from Noni juice, and it would seem to many people that something magical is happening because it affects so many bodily systems”. “It’s not only great for your skin, but also for your general well-being”. Kerr has been drinking Noni juice for almost 14 years and her body greatly benefited from it especially during busy days. 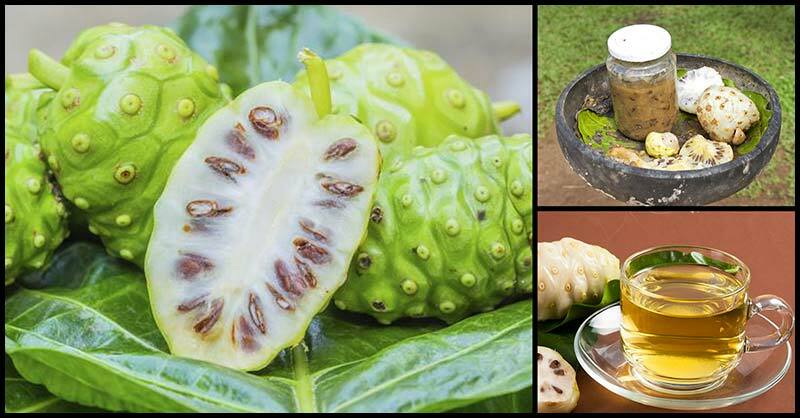 Noni fruit has been found to be rich in iron, antioxidants, Vitamin C, vitamin A, and vitamin B3. The juice derived from the fruit is said to have magical positive effects on many bodily systems. Minerals – such as iron, potassium, calcium, phosphorus, and magnesium. Vitamins - such as vitamin B1 (Thiamine), vitamin B2 (riboflavin), vitamin B3 (niacin), vitamin B5 (pantothenic acid), vitamin B6, vitamin B12, vitamin C (ascorbic acid), folate, vitamin E (alpha-tocopherol), and beta-carotene. Other phytonutrients – such as antioxidants like isoscopoletin, BisdeMethylpinoresinol, pinoresinol, proxeronine, scopoletin, kaempferol, vanillin, and quercetin. According to Dr. Anshul Bhatnagar of Batra Hospital, there were studies showing that noni juice reduces uric acid concentration in the blood, thus lowering the risk of gout. Noni juice has antiviral properties that can help get rid of fever and cough. To reap its benefits, Dr. Anshul Bhatnagar stressed that you need to drink small quantities of noni juice on a daily basis. Since noni juice is rich in a variety of antioxidants, it is a great skin moisturizer when applied daily. It can help replenish and repair your skin. So, start using noni fruit juice if you have dry, patchy skin. The vitamin C and selenium content of noni juice help fight free radicals in the body, thereby reversing the effects of aging and also preserves the elasticity of the skin. Studies have found that noni juice contains cancer-fighting nutrients as well as immune stimulating and tumor-fighting properties. Due to its antioxidants, noni juice can help improve physical endurance. Antioxidants may help reduce the damage to muscle tissues that occurs during exercise. Research suggests that drinking 3 ounces of noni juice regularly can improve the quality of life in people with osteoarthritis and also reduce their need for pain relievers. Noni juice is rich in vitamin C which supports the immune system by protecting cells from free radical damage as well as environmental toxins. Noni juice not only helps a person deal with stress but also reduces the effect of stress on our cognitive function.